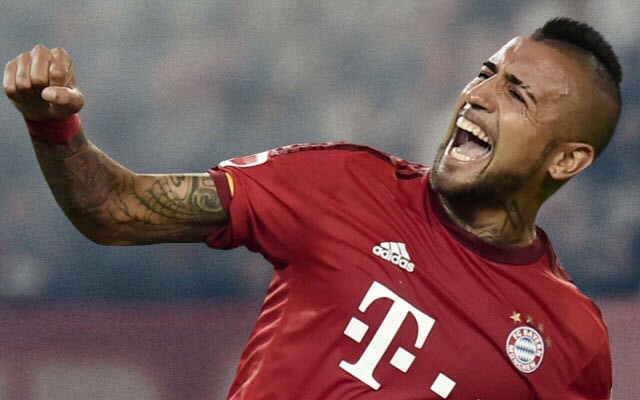 Bayern Munich midfielder Arturo Vidal bagged a pivotal away goal for his side with a wonderfully-struck half volley to ensure the visitors went in level at 1-1 against Benfica. The German champions arrived in Portugal with a slender one-goal lead from the first leg of their quarter-final clash, and would have hoped to have eased any tension with an early goal. With Robert Lewandowski left on the bench, Thomas Muller was asked to lead the line for the visitors, but it was a frustrating first half for them in general as they were unable to break through a stubborn defensive unit. Benfica struck first as Raul Jimenez drew his side level on aggregate, meeting a delightful cross to head home past Manuel Neuer, and it was certainly an excellent goal from the home side’s point of view. Although they continued to look threatening at times, Vidal’s goal changes the entire complexion of the game as the Portuguese giants now need to score twice without conceding in order to advance. While they look capable of applying pressure on Pep Guardiola’s side, it will take something relatively miraculously for them to now turn the tie in their favour.